Carmel Dempsey is one of Galway’s best-known musical performers – a distinguished musician, a talented singer, with a great sense of humour- possessing all the necessary characteristics of a truly great Entertainer. As a solo artist in the late 80’s Carmel played support to many international acts including ‘Meat Loaf’ and ‘Leo Sayer’. 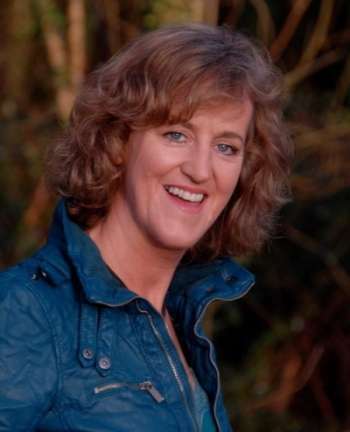 She then went on to tour with some of Ireland’s best known bands including ‘De Danann’ and ‘The Dolores Keane Band’. She also toured with the Druid Theatre, one of Ireland’s most successful theatre groups. Carmel has entertained for as few as 7 guests in a private drawing room ( Pierce Brosnan’s pre-wedding party at St. Cleran’s manor house, Craughwell) to large audiences in concert halls, on cruise ships and at outdoor festivals. Back home Carmel works with a network of very talented musicians and dancers from the Galway area specializing in Wedding Entertainment offering couples the complete entertainment wedding package for their special day. For more information about any of our services, please Contact Us today! I just want to thank you & Mairin from the bottom of my heart; your music wow, what can i say! They say that Brides on their wedding day get so caught up in the moment that they don’t notice the music; but i have to say that i listened to very single piece that you played and sang and i thought you were amazing. I just loved it. Happy New year Carmel and very best wishes for the future. “I would just like to thank you and all of the musicians that played at our wedding on Sunday, May 6th last. I had previously read very positive feedback on your website from people that had you perform at their weddings, and particularly noticed that many of them said how you had the dancefloor full all night. Athough our friends and family are a lively bunch, I thought that would be a hard task, but I have to say that I was absolutely amazed on the night that it was the case. People that I have never seen dancing at any function were flaking around like Duracell bunnies all night!! Guests at the wedding that were unfamiliar with you and your group were amazed at the quality and variety in your music, and thought that you stood out miles ahead of any other band they had seen perform at a wedding. To be honest, we both feel the exact same way ourselves – everyone was catered for, and we ourselves found it difficult to leave the dancefloor all the time that you were playing! Your interaction with all of the guests too was brilliant, lively but at no stage overbearing. You really made the night for us and all of the guests at the wedding, and you were worth every penny. We will remember with very fond memories for a long time to come of both you and your band. “We cannot thankyou enough for the wonderful music and craic you provided for our wedding reception. We have recieved so many thankyou messages and everyone has mentioned the music – we are thrilled that the dance floor was full all night – a testament to the 4 of you. You made us feel so special – in fact many of our guests thought you were an old family friend! You are a natural entertainer and we will certainly be recommending you in the future. Please also thank the muisicians from the drinks reception – again, everyone is raving about them. We loved our time in Galway and the local peoples hospitality will always have a special place in our hearts. “Just a quick email to thank you so much for everything that you did for us in the run up to and on the day of our wedding. You helped so much to make it the most magical day of our lives. The music for the cermony was so beautiful. So much more than we could have hoped. Both yourself and Eilish went above and beyond to make it so so special for us. We had such a fantastic time at the reception, so much so that you now have a legion of fans who are mad to get to Galway for another night out with you!! ”Carmel, thanks so much for such a wonderful day!! Everyone was complimenting the lively music and of course the dancers were just fantastic!! Can’t recommend your band highly enough, very hard to please all the crowd but u succeeded in magnificent style! Back to work last week and such an anticlimax! “I can not begin to thank you enough for the fabulous job you and your band did at Erin’s wedding. You were outstanding. All the guests had a wonderful time and they are still talking about how great the music was. Your easy going but very professional way was such a great fit to the tone of the wedding we were hoping for. Everything was perfect. Martin and his partner really set the tone at the cocktail reception. Nick was delighted and very surprised to see Erin dance with Dorieann and the girls. The whole evening far exceeded expectations. I’ve got my fingers crossed that we’ll be able go on the cruise!!! If not we’ll be sure to to check out where you’re playing next time we’re in Ireland. ” Brian and I are just on a 12 hour pitt stop in the UK before we head off for honeymoon. We thought the entertainment on Saturday was just fabulous and are eternally grateful for your assistance in making it the best night ever. We can’t send enough praise your way! Everyone is still buzzing about it and please send our regards to your musicians and the dancers. We just wanted to send you a quick note to say Thank you so much for making our night brilliant. Everyone loved the music and had a great night. We are heading off on honeymoon today, but hope to see ye playing again sometime in Galway. I have to hand it to you Carmel you were fantastic at our wedding on 1st Aug at the Dunraven Arms in Adare. You exceeded our wildest expectations and you played to our guests. Everyone commented on how good you were. My dad and aunty Tess particularily had a good time. The choice of music was brilliant and it was without a doubt the best day of our lives. First day back at work today . . . . !!!! We had a fantastic wedding day and a wonderful honeymoon. Thank you so much for helping to make it so special – we both thought you and the band were brilliant!!. In fact – loads of people came up to us and asked who you were and so on. Even my folks who are normally really hard to please though you were great! !